Where other representatives of this genre lack the courage or the will to dig deeper, Lorenzo al Dino continues to rotate at the controls, to shift sound levels in terms of always finding a new approach to the spirit of dance music. "Every song needs the potential of a single release," he makes clear, putting his own claim very high. But this is part of his personal DNA. The last three singles prove him right: "Hypnotized" reached the charts Top10 DCC (9) & DDC (17th), King of Spins, United States (1), the follow-up-banger "Good Times" put by: Top10 DCC (14) and "The Sound of Silence" was not less popular: King of Spins, USA (1) DDC (12) 44 House Charts (15) Dance 50 WDC (9), Spotify Germany (1) Radio Star Power (1). Lets see, what we can do with „just love“. 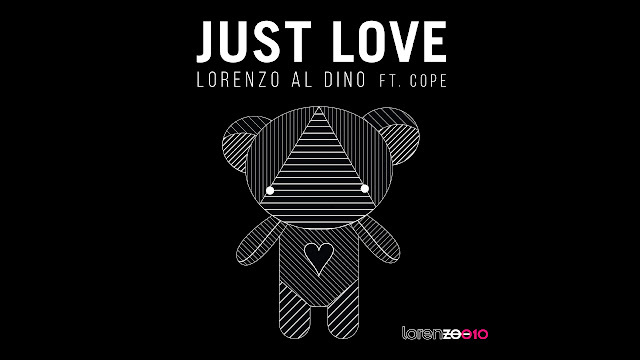 Beside Lorenzo’s extended version of “Just Love”, you will find three new remixes by well known Sascha Kloeber with his typical sound, Stephan Funkmann delivering a touch of underground feeling and fast rising star Morttagua from Brasil, who likes traveling in a more deeper progressive style. This release is sure to garner also some extensive club usage over the next couple of months.